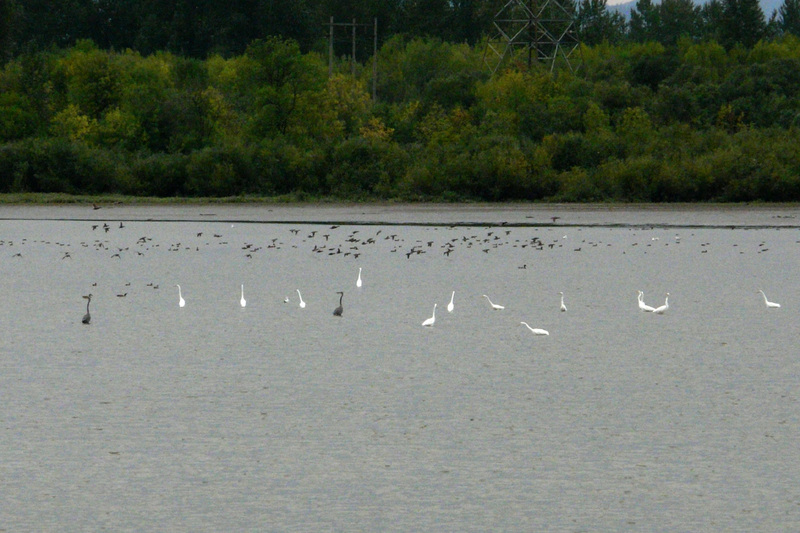 Smith and Bybee Wetlands in NW Portland, (Birding Oregon p. 65) is a great spot for waterfowl, waders, and shorebirds in the late summer and autumn. Paved trails lead to observation platforms overlooking both lakes, and primitive paths are available to the more adventurous. Great Egret, here with a couple of Great Blue Herons and numerous waterfowl on Bybee Lake, are common this time of year. Other waders that have occurred here include Snowy Egret and Little Blue Heron. 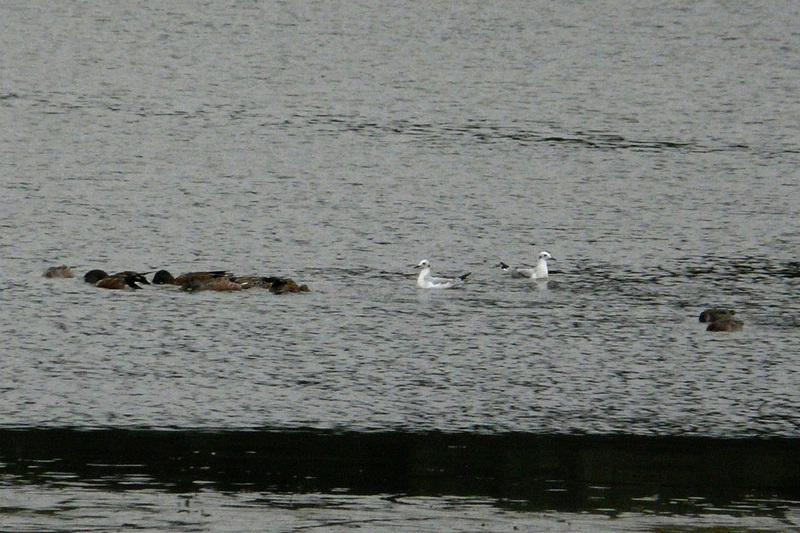 These Bonaparte’s Gulls were feeding with a flock of Northern Shovelers, picking up little food items stirred up by the ducks. Many trees in this area have fencing around them to protect them from Beavers. 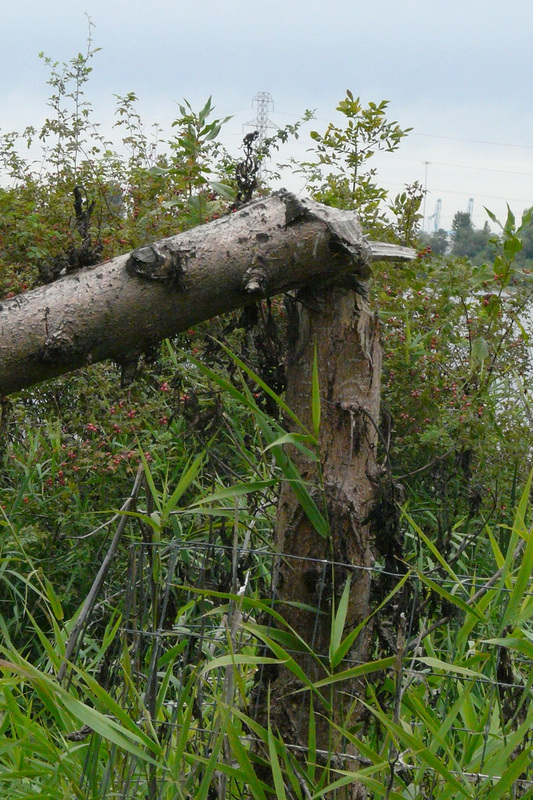 Flood conditions last winter enabled the Beavers to float above the level of the fencing and nibble away. 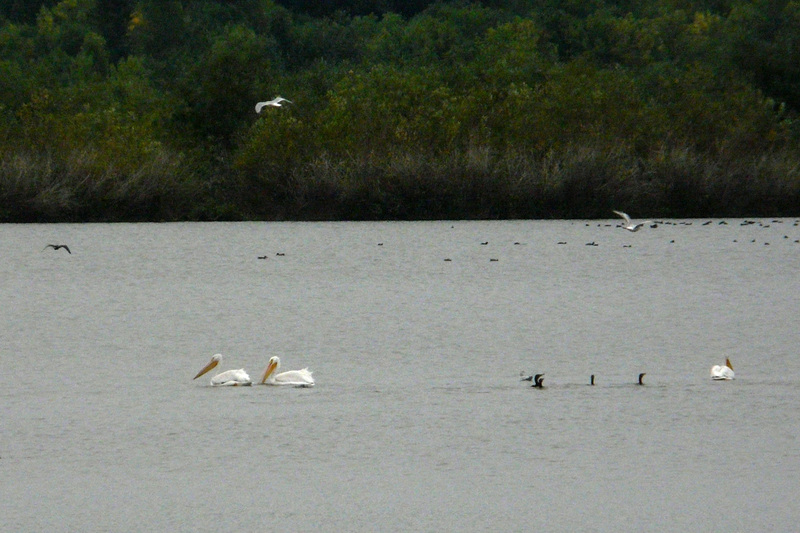 Three American White Pelicans swim with Double-crested Cormorants on Smith Lake. 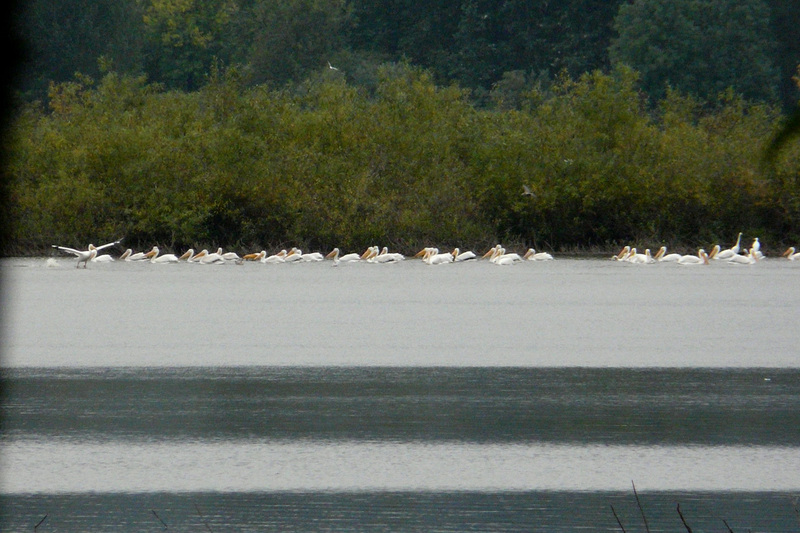 Ten years ago, pelicans were considered rare in Portland, but large flocks are now expected every summer and fall. This entry was posted in OR Birding Sites and tagged American White Pelican, Bonaparte's Gull, Double-crested Cormorant, Great Blue Heron, Great Egret, Nothern Shoveler, Smith and Bybee Wetlands. Bookmark the permalink.